Blending rich elements of Welsh legend, universal mythology and imagination, Lloyd Alexander created Prydain, a land of fantasy, good and evil, and heroes rooted in reality and truth. This series follows the adventures of Taran, the Assistant Pig-Keeper, and his quest to become a hero. Taran is joined by an engaging cast of characters that includes Eilonwy, the strong-willed and sharp-tongued princess; Fflewddur Fflam, the exaggeration-prone bard; the ever-faithful Gurgi; and the irritable Doli - all of whom become involved in the epic struggle between good and evil that shapes the fate of the legendary land of Prydain. 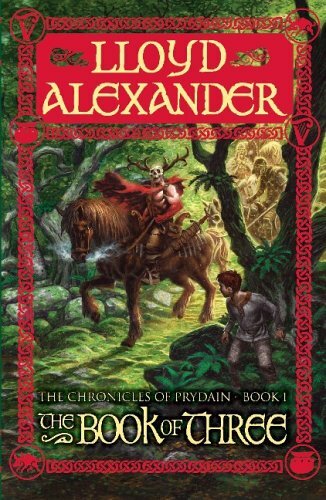 Chronicles of Prydain is a highly-engaging and beautifully written fantasy series that has not only captured the imagination of readers for decades, but garnered the higest critical praise. The tale offers high ideals of courage, honour and loyalty, and balances those ideals with the flawed character of Taran, who we witness slowly develop from a grumbling boy to a courageous man.